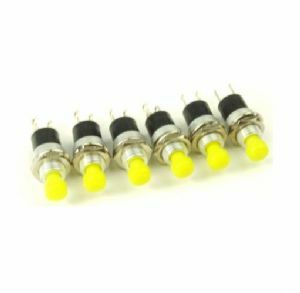 6 x YELLOW Mini Latch Switches Momentary non locking . 6 x yellow push button switches. 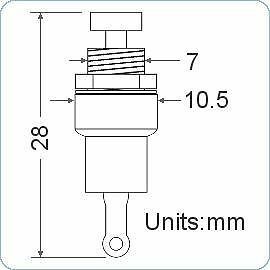 Overall dimensions: 28mm long, 10mm diameter.